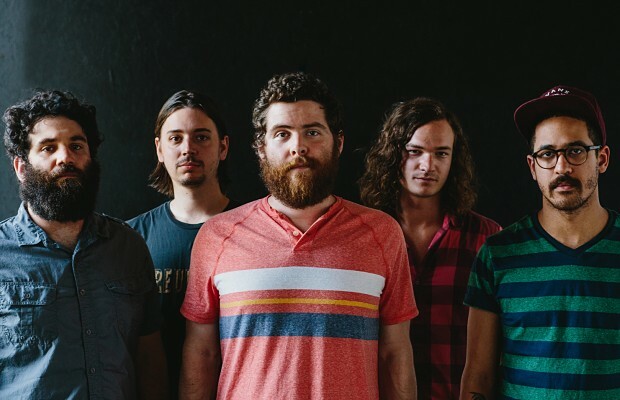 Let’s take it down a notch with Manchester Orchestra’s ‘Top Notch‘ track shall we? Play on words heavily intended. A well-written track shows its truest colours when you strip it down and release it with nothing but strings, piano and vocal. This version takes an entirely different turn, with an entirely different intention. Perhaps the lyrics are easier to interpret now. Perhaps stripped down it showcases another side of the writing that may have been lost in the foggy tempo of the original. Perhaps it falls down to taste, either way – it’s deeply moving. Stop number one. The Australian Party at Brush square. Caught the last song from Decoder Ring. Checked my watch to make sure it was past 12pm, had a beer. And so on. Stop number two. The Paste party. Great magazine, always a good party every year at SXSW. They had this cheese sauce…. wow. It made you want to dip your hand into the bowl, let it solidify, then go around Austin all day licking your hand. Well, it at least made me want to do that. Caught a cool band called Midlake on the advice of a great guy named Nelson from Team Clermont. Check out the tracks ‘Roscoe’ and ‘Balloon Maker’ here. They have a Flaming Lips sound and the drummer looks a lot like Elijah Wood. Also, caught a little bit of a band called Manchester Orchestra. Here is thier myspace page, I really recommend spending some time with ‘Golden Ticket’ and a nice live solo effort of ‘Play It Again Sam’. Stop number three, the NXNE party at SXSW. If a bomb had gone off, Canada’s music industry would have perished. And Switzerland would become the new Montreal. Strong sets by Pilate, Cuff The Duke and Novillero. Final Stop. Stubbs. Spent a good couple of hours drinking Lonestar beer and watching some of the bigger bands at the festival. Heard four bars of the Subways, all of Metric‘s set (which was very good), The Magic Numbers, and Snow Patrol (who weren’t actually that lame as some of us thought they would be). By this point, I had developed a nice blister on my big toe. I named him Johnny.